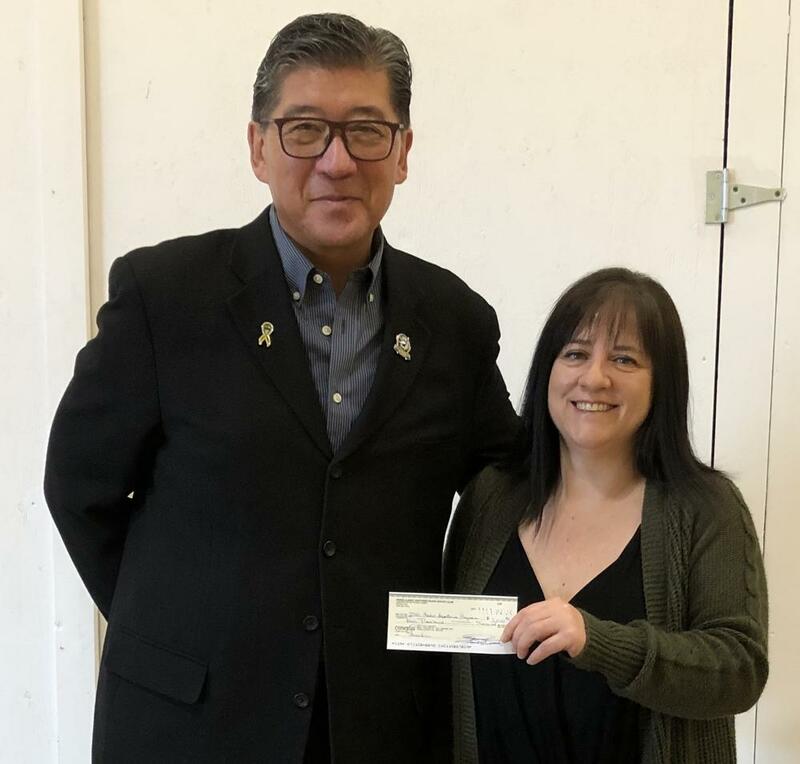 President Laura Quesnel of the PA Northern Bears Midget AAA female team presents President Bill Chow of the Saskatchewan Jr Hockey League a cheque in the amount of $5000.00. The money was raised by the Bears auctioning off their special jerseys sponsored by SGEU at one of their recent playoff games against the Notre Dame Hounds. 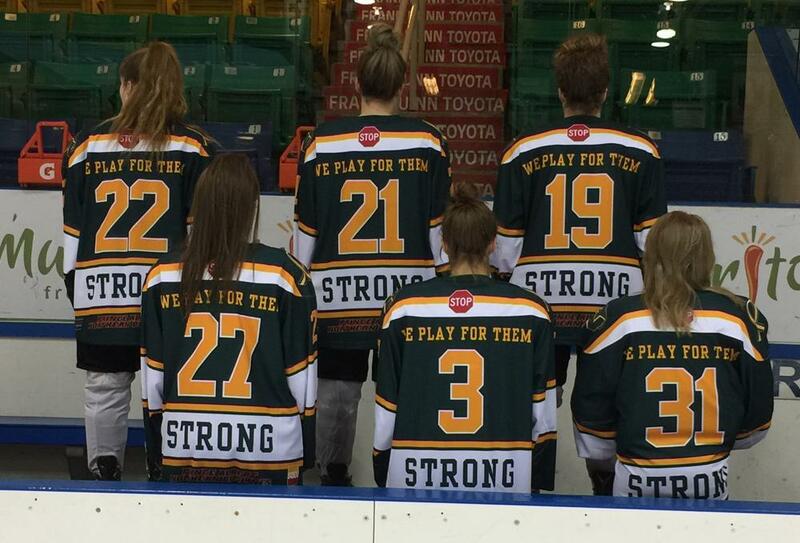 The Bears obtained the blessing and support from the Humboldt Broncos organization to replicate their jerseys and dedicate them to the Humboldt Broncos “Humboldt Strong” “We Play For Them”. 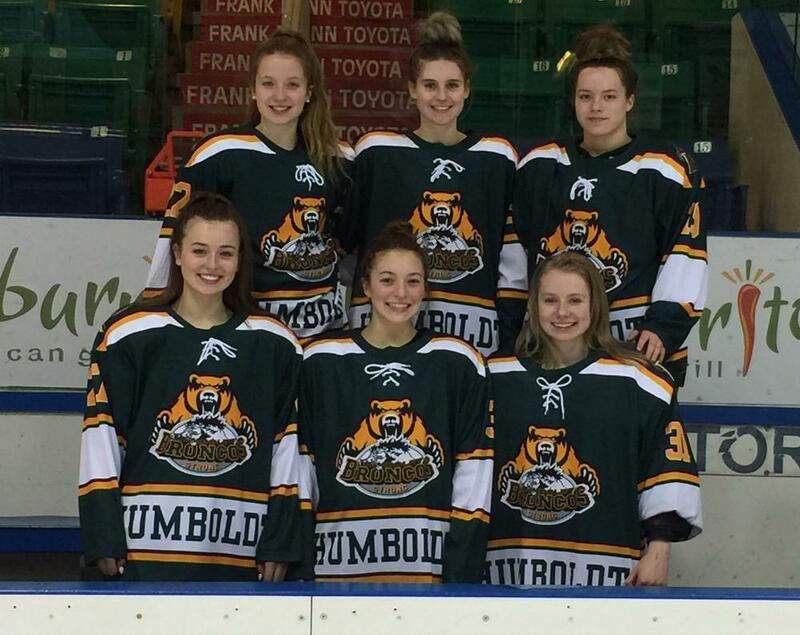 The PA Northern Bears Midget AAA female team designated the money raised to the SJHL Assistance Program.